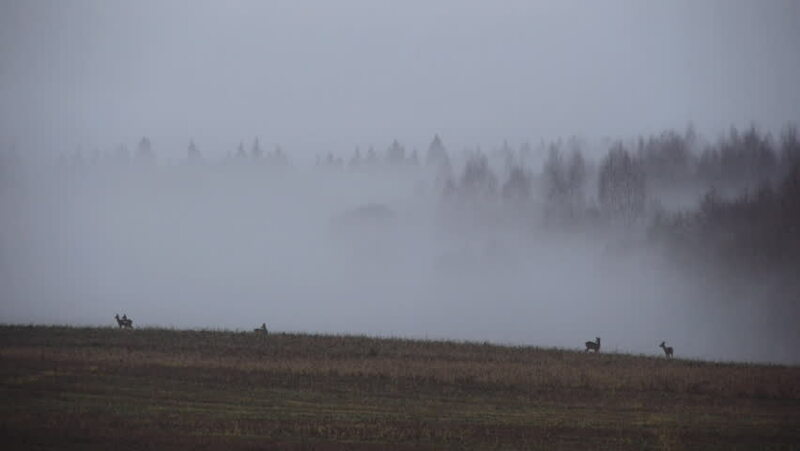 Roe-deer in the morning mist. 4k00:13Time lapse. Green field and the sidewalk. People come out of the fog. hd00:47Fire in the forest. Skyline in flames. Trees burn.